Sewanee's first-ever Harvest Hootenanny. Photo by Luke Williamson. ‘Town versus gown’ clashes are common in university towns, and it can be difficult to bridge differences between these communities. Sewanee: The University of the South is one such university town. Directly adjacent to the poorest county in Tennessee, Sewanee’s troubled relationship with locals goes back for decades. This year, a new event sought to further bridge these differences: not only between town and gown, but also farmer and student, old and young. Food became part of the solution to healing community differences. 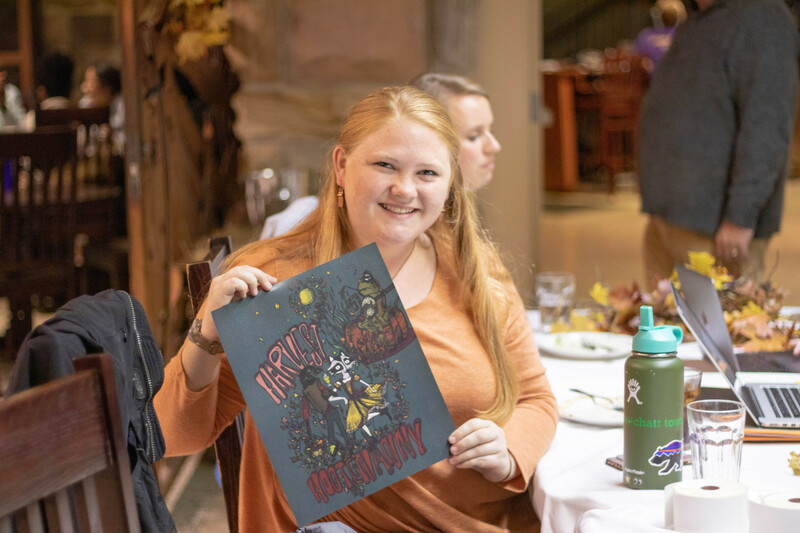 Sewanee’s first-ever Harvest Hootenanny started as a simple idea, then ballooned in size to involve more than 200 participants. 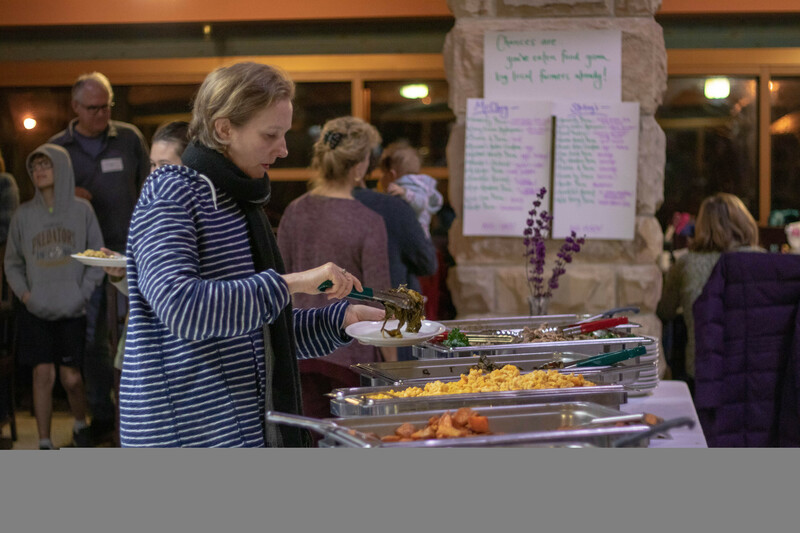 The event sought to cultivate community, particularly between the students and employees eating local food in McClurg Dining Hall, the farmers growing that food, and the McClurg staff members preparing it. 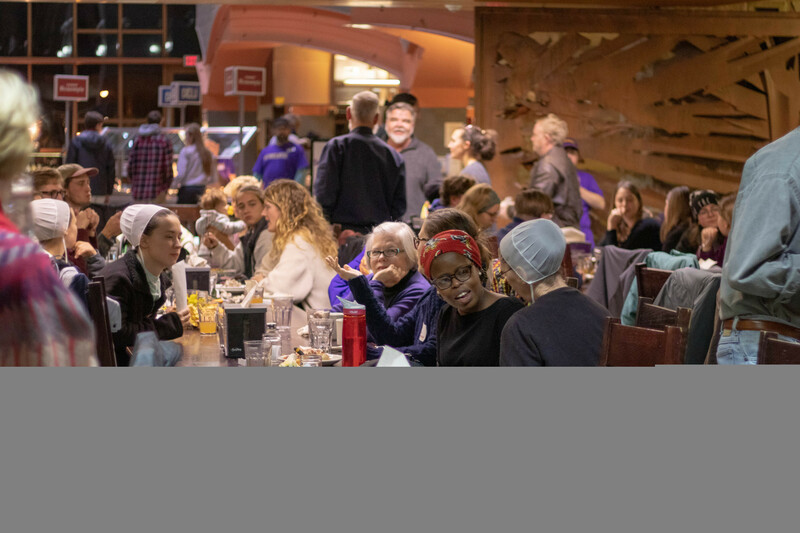 Thompson expressed that, although Sewanee invests close to one million dollars in the local food economy every year, there is nonetheless a disconnect between students, farmers, and McClurg staff members that each participate in this economy. The event also sought to highlight the value of locally sourced food. In fact, it was the inspiration for the event. “Last spring I had talked to Chef Rick [the Director of Sewanee Dining], and Emmet Logsdon, who is the owner of Lost Cove Bison Farm. And they were talking about how if we want to advocate for local foods it needs to be like coming from the students. So then I was like, okay, we should actually try and do an event,” said Robinson. 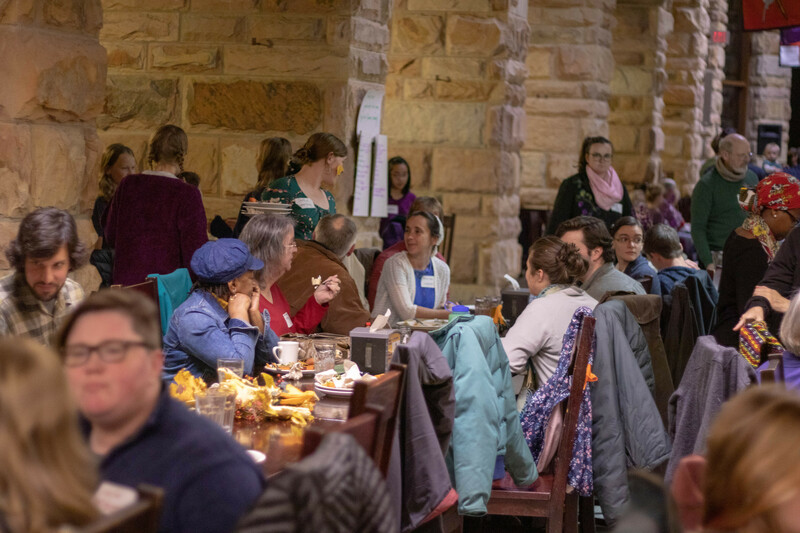 Robinson, a natural resources major and former work-study at the University Farm, expressed that an event like this, focused on locally sourced food, would have to include a community aspect. “I think environmentalism and community overlap and sustain one another, because I think if you have a strong human community, that allows you to extend your scope to the non-human community — or the environmental community,” she said. Robinson’s ideas about community and sustainability shaped the creation of the Harvest Hootenanny. After reaching out to Thompson, Robinson began brainstorming with her on what an event that involved both local farmers and students might look like. Thompson explained that they wanted to be creative and depart from a typical farmer/student mixer model of just talking at a table. That’s where the contra dance idea came in. Contra dance is a type of dance composed of long lines of couples who move according to the caller. 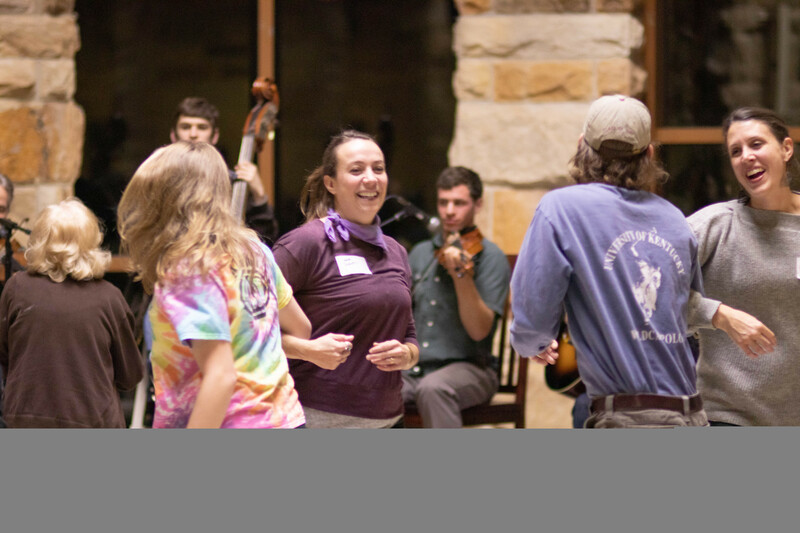 Sewanee once held contra dances regularly, but nostalgia was hardly the only motivating factor behind putting together the contra dance. Dancing was part of Thompson and Robinson’s aims of facilitating the mixing of different groups; not just farmer and student groups, but also divides between age groups. Sewanee Dining, the Office of Environmental Stewardship and Sustainability, Sustain Sewanee, Greenhouse, Farm Club, University Farm, The Socially Conscious Investment Club, Swing That Thing, Perpetual Motion, The Community Engagement House, and Healthy Hut all partnered together to help make the Harvest Hootenanny a success. Sewanee’s first-ever Harvest Hootenanny was much more complex than it ostensibly seems. It collapsed the distance between unlike communities and brought them under the same roof for a night full of laughter, dancing, and fun. It synthesized goals of overcoming decades-old ‘town versus gown’ resentments and age differences; it stimulated conversations about Big Agriculture and locally-grown food. 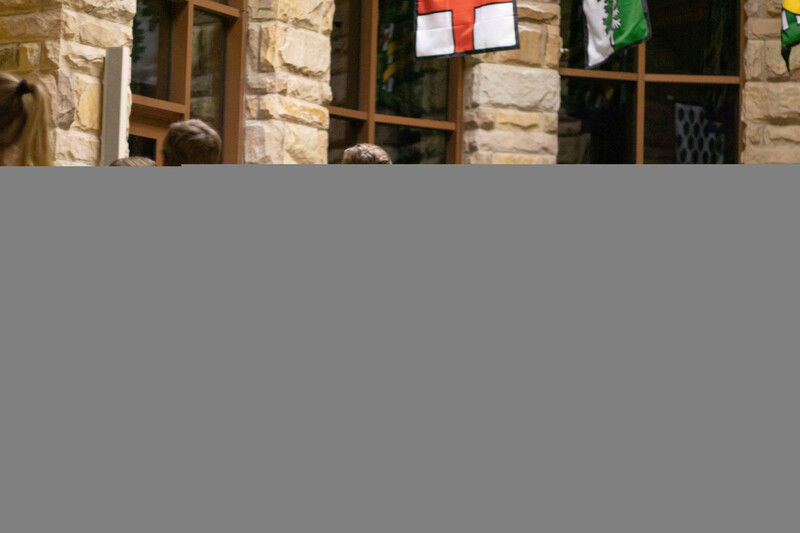 And, it made a statement: Sewanee students care about and want more locally-sourced foods. Best of all — it was through food that Harvest Hootenanny accomplished these things.